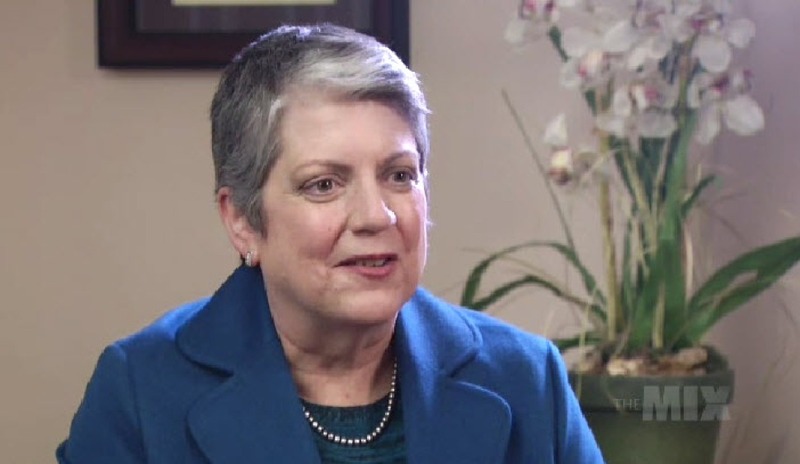 Janet Napolitano has had a ceiling-shattering career. She was the first woman governor of Arizona, first woman head of Homeland Security and now as the first woman head of the UC system. It’s a position that puts her in the crosshairs of California Gov. Jerry Brown, who is staunchly against any change in how much students have to pay. As in her previous jobs, she’s taking the position head on. Napolitano recently sat down with The Mix's Janet Reilly for this one-on-one interview.